Regulation (EC) No 1272/2008 harmonises the provisions and criteria for the classification and labelling of substances, mixtures and certain specific articles within the Union. That Regulation takes into account the Globally Harmonised System of Classification and Labelling of Chemicals (GHS) of the United Nations (UN). 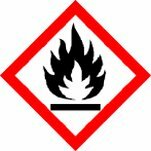 The classification criteria and labelling rules of the GHS are periodically reviewed at UN level. 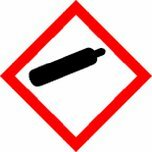 The fifth revised edition of the GHS results from changes adopted in December 2012 by the UN Committee of Experts on the Transport of Dangerous Goods and on the Globally Harmonised System of Classification and Labelling of Chemicals. It contains amendments concerning, inter alia, a new, alternative method for the classification of oxidising solids, changes to the provisions on classification for the hazard classes for skin corrosion/irritation and serious eye damage/eye irritation, and aerosols. Furthermore, it includes changes to several precautionary statements, as well as changes in the order of some precautionary statements, as reflected by a deletion of the entry and a separate insertion at the new location of the entry. It is therefore necessary to adapt the technical provisions and criteria in the Annexes to Regulation (EC) No 1272/2008 to the fifth revised edition of the GHS. Following the fourth revision of the GHS, Commission Regulation (EU) No 487/2013 (2) introduced a labelling derogation for substances or mixtures classified as corrosive to metals but not classified for skin corrosion or serious eye damage. Whereas the content of the derogation should remain unchanged, a more precise formulation should be provided for the hazards addressed by the derogation. Redundancy in the labelling of mixtures containing isocyanates and certain epoxy constituents should be avoided while maintaining the longstanding and well known specific information about the presence of these particular sensitizing substances. Therefore, the use of the hazard statement EUH208 should not be obligatory where a mixture is already labelled in accordance with the hazard statements EUH204 or EUH205. To ensure that suppliers of substances and mixtures have some time to adapt to the new classification and labelling provisions introduced by this Regulation, a transitional period should be provided and the application of this Regulation should be deferred. That should allow for the possibility to apply the provisions laid down in this Regulation on a voluntary basis before the transitional period is over. Annex I is amended in accordance with Annex I to this Regulation. Annex II is amended in accordance with Annex II to this Regulation. Annex III is amended in accordance with Annex III to this Regulation. Annex IV is amended in accordance with Annex IV to this Regulation. Annex V is amended in accordance with Annex V to this Regulation. Annex VI is amended in accordance with Annex VI to this Regulation. Annex VII is amended in accordance with Annex VII to this Regulation. By way of derogation from Article 3, substances and mixtures may, before 1 February 2018, be classified, labelled and packaged in accordance with Regulation (EC) No 1272/2008 as amended by this Regulation. By way of derogation from Article 3, substances and mixtures classified, labelled and packaged in accordance with Regulation (EC) No 1272/2008 and placed on the market before 1 February 2018 shall not be required to be relabelled and repackaged in accordance with this Regulation before 1 February 2020. This Regulation shall apply from 1 February 2018. Done at Brussels, 19 May 2016. (2) Commission Regulation (EU) No 487/2013 of 8 May 2013 amending, for the purposes of its adaptation to technical and scientific progress, Regulation (EC) No 1272/2008 of the European Parliament and of the Council on classification, labelling and packaging of substances and mixtures (OJ L 149, 1.6.2013, p. 1). (3) Regulation (EC) No 1907/2006 of the European Parliament and of the Council of 18 December 2006 concerning the Registration, Evaluation, Authorisation and Restriction of Chemicals (REACH), establishing a European Chemicals Agency, amending Directive 1999/45/EC and repealing Council Regulation (EEC) No 793/93 and Commission Regulation (EC) No 1488/94 as well as Council Directive 76/769/EEC and Commission Directives 91/155/EEC, 93/67/EEC, 93/105/EC and 2000/21/EC (OJ L 396, 30.12.2006, p. 1). 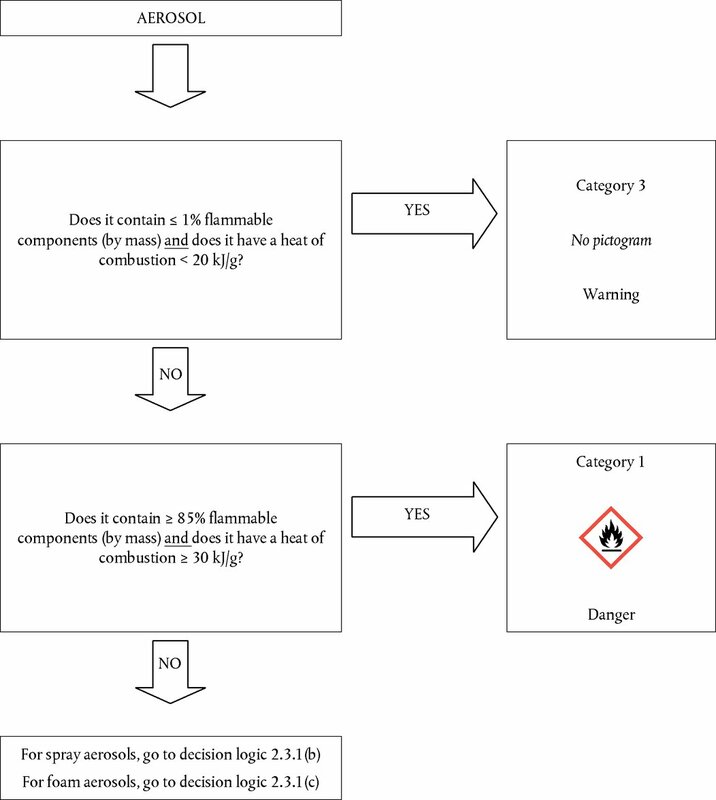 Label elements shall be used for substances, mixtures or articles meeting the criteria for classification in this hazard class in accordance with Table 2.1.2.
unless the hazard is shown to correspond to one of the hazard categories in Table 2.1.2, in which case the corresponding symbol, the signal word and/or the hazard statement shall be assigned. or if their heat of combustion is at least 20 kJ/g. 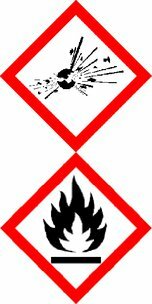 NOTE 1: Flammable components do not cover pyrophoric, self-heating or water-reactive substances and mixtures because such components are never used as aerosol contents. Any substance or mixture which, in the 4:1 or 1:1 sample-to-cellulose ratio (by mass) tested, exhibits a mean burning time less than the mean burning time of a 3:2 mixture, (by mass), of potassium bromate and cellulose. Any substance or mixture which, in the 4:1 or 1:1 sample-to-cellulose ratio (by mass) tested, exhibits a mean burning rate greater than the mean burning rate of a 3:1 mixture (by mass) of calcium peroxide and cellulose. Any substance or mixture which, in the 4:1 or 1:1 sample-to-cellulose ratio (by mass) tested, exhibits a mean burning time equal to or less than the mean burning time of a 2:3 mixture (by mass) of potassium bromate and cellulose and the criteria for Category 1 are not met. Any substance or mixture which, in the 4:1 or 1:1 sample-to-cellulose ratio (by mass) tested, exhibits a mean burning rate equal to or greater than the mean burning rate of a 1:1 mixture (by mass) of calcium peroxide and cellulose and the criteria for Category 1 are not met. Any substance or mixture which, in the 4:1 or 1:1 sample-to-cellulose ratio (by mass) tested, exhibits a mean burning time equal to or less than the mean burning time of a 3:7 mixture (by mass) of potassium bromate and cellulose and the criteria for Categories 1 and 2 are not met. In Section 2.14.2.1, in Note 1 to Table 2.14.1, ‘(BC Code, Annex 3, Test 5)’ is replaced by ‘(IMSBC Code (International Maritime Solid Bulk Cargoes Code, IMO), Appendix 2, Section 5)’. Skin corrosion means the production of irreversible damage to the skin; namely, visible necrosis through the epidermis and into the dermis, following the application of a test substance for up to 4 hours. Corrosive reactions are typified by ulcers, bleeding, bloody scabs, and, by the end of observation at 14 days, by discolouration due to blanching of the skin, complete areas of alopecia, and scars. Histopathology shall be considered to evaluate questionable lesions. 3.2.1.2. In a tiered approach, emphasis shall be placed upon existing human data, followed by existing animal data, followed by in vitro data and then other sources of information. Classification results directly when the data satisfy the criteria. In some cases, classification of a substance or a mixture is made on the basis of the weight of evidence within a tier. In a total weight of evidence approach all available information bearing on the determination of skin corrosion/irritation is considered together, including the results of appropriate validated in vitro tests, relevant animal data, and human data such as epidemiological and clinical studies and well-documented case reports and observations (see Annex I, Part 1, Sections 1.1.1.3, 1.1.1.4 and 1.1.1.5). Category 2 (skin irritation) (see Table 3.2.2). A substance is corrosive to skin when it produces destruction of skin tissue, namely, visible necrosis through the epidermis and into the dermis in at least one tested animal after exposure for up to 4 hours. 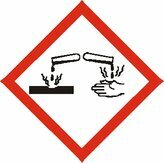 Corrosive substances shall be classified in Category 1 where data is not sufficient for sub-categorisation. When data are sufficient substances shall be classified in one of the three sub-categories 1A, 1B, or 1C in accordance with the criteria in Table 3.2.1. Three sub-categories are provided within the corrosion category: sub-category 1A — where corrosive responses are noted following up to 3 minutes exposure and up to 1 hour observation; sub-category 1B — where corrosive responses are described following exposure greater than 3 minutes and up to 1 hour and observations up to 14 days; and sub-category 1C — where corrosive responses occur after exposures greater than 1 hour and up to 4 hours and observations up to 14 days. The use of human data is discussed in Sections 3.2.1.2 and 3.2.2.2 and also in Sections 1.1.1.3, 1.1.1.4 and 1.1.1.5. A substance is irritant to skin when it produces reversible damage to the skin following its application for up to 4 hours. The major criterion for the irritation category is that at least 2 of 3 tested animals have a mean score of ≥ 2,3 and ≤ 4,0. A single irritation category (Category 2) is presented in Table 3.2.2, using the results of animal testing. Reversibility of skin lesions is also considered in evaluating irritant responses. When inflammation persists to the end of the observation period in 2 or more test animals, taking into consideration alopecia (limited area), hyperkeratosis, hyperplasia and scaling, then a material shall be considered to be an irritant. Animal irritant responses within a test can be variable, as they are with corrosion. A separate irritant criterion accommodates cases where there is a significant irritant response but less than the mean score criterion for a positive test. For example, a test material might be designated as an irritant if at least 1 of 3 tested animals shows a very elevated mean score throughout the study, including lesions persisting at the end of an observation period of normally 14 days. Other responses could also fulfil this criterion. However, it should be ascertained that the responses are the result of chemical exposure. In some cases where there is pronounced variability of response among animals, with very definite positive effects related to chemical exposure in a single animal but less than the criteria above . 3.2.2.2.1. A tiered approach to the evaluation of initial information shall be considered, where applicable, recognising that not all elements may be relevant. 3.2.2.2.2. Existing human and animal data including information from single or repeated exposure shall be the first line of evaluation, as they give information directly relevant to effects on the skin. 3.2.2.2.3. 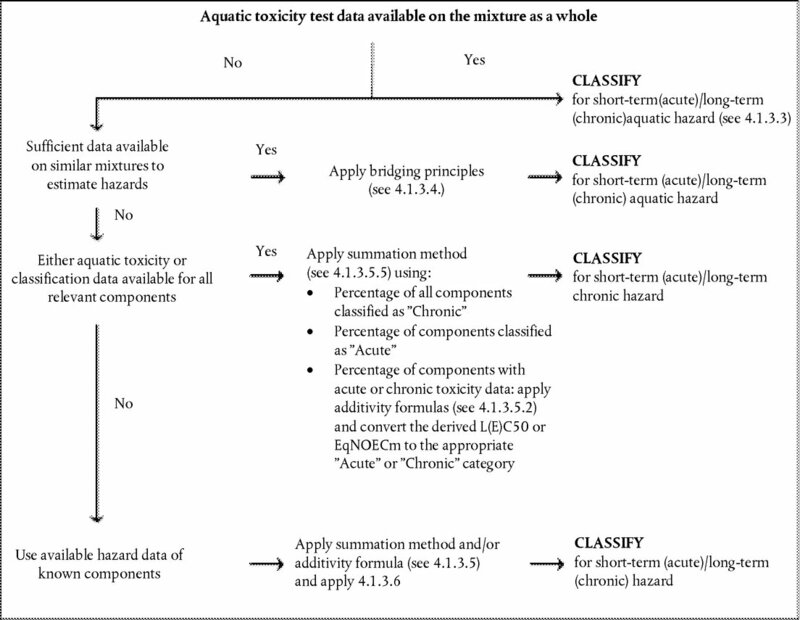 Acute dermal toxicity data may be used for classification. If a substance is highly toxic by the dermal route, a skin corrosion/irritation study is not practicable since the amount of test substance to be applied considerably exceeds the toxic dose and, consequently, results in the death of the animals. When observations are made of skin corrosion/irritation in acute toxicity studies and are observed up through the limit dose, these data may be used for classification, provided that the dilutions used and species tested are equivalent. Solid substances (powders) may become corrosive or irritant when moistened or in contact with moist skin or mucous membranes. 3.2.2.2.4. In vitro alternatives that have been validated and accepted shall be used to make classification decisions. 3.2.2.2.5. Likewise, pH extremes like ≤ 2 and ≥ 11,5 may indicate the potential to cause skin effects, especially when associated with significant acid/alkaline reserve (buffering capacity). Generally, such substances are expected to produce significant effects on the skin. In the absence of any other information, a substance is considered as corrosive to skin (Skin Corrosion Category 1) if it has a pH ≤ 2 or a pH ≥ 11,5. However, if consideration of acid/alkaline reserve suggests the substance may not be corrosive despite the low or high pH value, this needs to be confirmed by other data, preferably by data from an appropriate validated in vitro test. 3.2.2.2.6. In some cases, sufficient information may be available from structurally related substances to make classification decisions. 3.2.2.2.7. The tiered approach provides guidance on how to organize existing information on a substance and to make a weight of evidence decision about hazard assessment and hazard classification. Although information might be gained from the evaluation of single parameters within a tier (see Section 3.2.2.2.1. ), consideration shall be given to the totality of existing information and making an overall weight of evidence determination. This is especially true when there is conflict in information available on some parameters. 3.2.3.1.1. The mixture shall be classified using the criteria for substances, taking into account the tiered approach to evaluate data for this hazard class. 3.2.3.1.2. When considering testing of the mixture, classifiers are encouraged to use a tiered weight of evidence approach as included in the criteria for classification of substances for skin corrosion and irritation (Sections 3.2.1.2 and 3.2.2.2), to help ensure an accurate classification as well as to avoid unnecessary animal testing. In the absence of any other information, a mixture is considered corrosive to skin (Skin Corrosion Category 1) if it has a pH ≤ 2 or a pH ≥ 11,5. However, if consideration of acid/alkaline reserve suggests the mixture may not be corrosive despite the low or high pH value, this needs to be confirmed by other data, preferably by data from an appropriate validated in vitro test. 3.2.3.2.1. Where the mixture itself has not been tested to determine its skin corrosion/irritation potential, but there are sufficient data on the individual ingredients and similar tested mixtures to adequately characterise the hazards of the mixture, these data shall be used in accordance with the bridging rules set out in Section 1.1.3. The “relevant ingredients” of a mixture are those which are present in concentrations ≥ 1 % (w/w for solids, liquids, dusts, mists and vapours and v/v for gases), unless there is a presumption (e.g., in the case of skin corrosive ingredients) that an ingredient present at a concentration < 1 % can still be relevant for classifying the mixture for skin corrosion/irritation. 3.2.3.3.2. In general, the approach to classification of mixtures as corrosive or irritant to skin when data are available on the ingredients, but not on the mixture as a whole, is based on the theory of additivity, such that each skin corrosive or skin irritant ingredient contributes to the overall skin corrosive or skin irritant properties of the mixture in proportion to its potency and concentration. A weighting factor of 10 is used for skin corrosive ingredients when they are present at a concentration below the generic concentration limit for classification with Category 1, but are at a concentration that will contribute to the classification of the mixture as skin irritant. The mixture is classified as corrosive or irritant to skin when the sum of the concentrations of such ingredients exceeds a concentration limit. 3.2.3.3.3. Table 3.2.3 provides the generic concentration limits to be used to determine if the mixture is considered to be corrosive or irritant to the skin. 3.2.3.3.4.1. Particular care must be taken when classifying certain types of mixtures containing substances such as acids and bases, inorganic salts, aldehydes, phenols, and surfactants. The approach explained in Sections 3.2.3.3.1 and 3.2.3.3.2 may not be applicable given that many such substances are corrosive or irritant to the skin at concentrations < 1 %. 3.2.3.3.4.2. For mixtures containing strong acids or bases the pH shall be used as a classification criterion (see Section 3.2.3.1.2) since pH is a better indicator of skin corrosion than the concentration limits in Table 3.2.3. 3.2.3.3.4.3. A mixture containing ingredients that are corrosive or irritant to the skin and that cannot be classified on the basis of the additivity approach (Table 3.2.3), due to chemical characteristics that make this approach unworkable, shall be classified as Skin Corrosion Category 1 if it contains ≥ 1 % of an ingredient classified as Skin Corrosion or as Skin Irritation (Category 2) when it contains ≥ 3 % of an skin irritant ingredient. Classification of mixtures with ingredients for which the approach in Table 3.2.3 does not apply is summarised in Table 3.2.4. 3.2.3.3.5. On occasion, reliable data may show that the skin corrosion/irritation hazard of an ingredient will not be evident when present at a level at or above the generic concentration limits mentioned in Tables 3.2.3 and 3.2.4 in Section 3.2.3.3.6. In these cases the mixture shall be classified according to that data (see also Articles 10 and 11). On other occasions, when it is expected that the skin corrosion/irritation hazard of an ingredient is not evident when present at a level at or above the generic concentration limits mentioned in Tables 3.2.3 and 3.2.4, testing of the mixture shall be considered. In those cases the tiered weight of evidence approach shall be applied, as described in Section 3.2.2.2. 3.2.3.3.6. If there are data showing that (an) ingredient(s) is/are corrosive or irritant to skin at a concentration of < 1 % (skin corrosive) or < 3 % (skin irritant), the mixture shall be classified accordingly. The sum of all ingredients of a mixture classified as Skin Corrosion Sub-Category 1A, 1B, or 1C respectively, shall each be ≥ 5 % in order to classify the mixture as either Skin Corrosion Sub-Category 1A, 1B or 1C. If the sum of the ingredients classified as Skin Corrosion Sub-Category 1A is < 5 % but the sum of ingredients classified as Skin Corrosion Sub-Category 1A + 1B is ≥ 5 %, the mixture shall be classified as Skin Corrosion Sub-Category 1B. Similarly, if the sum of ingredients classified as Skin Corrosion Sub-Category 1A + 1B ingredients is < 5 % but the sum of ingredients classified as Sub-Category 1A + 1B + 1C is ≥ 5 % the mixture shall be classified as Skin Corrosion Sub-Category 1C. Where at least one relevant ingredient in a mixture is classified as Category 1 without sub-categorisation, the mixture shall be classified as Category 1 without sub-categorisation if the sum of all ingredients corrosive to skin is ≥ 5 %. 3.2.4.1. Label elements shall be used for substances or mixtures meeting the criteria for classification in this hazard class in accordance with Table 3.2.5. Serious eye damage means the production of tissue damage in the eye, or serious physical decay of vision, following application of a test substance to the anterior surface of the eye, which is not fully reversible within 21 days of application. Eye irritation means the production of changes in the eye following the application of test substance to the anterior surface of the eye, which are fully reversible within 21 days of application. 3.3.1.2. In a tiered approach, emphasis shall be placed upon existing human data, followed by existing animal data, followed by in vitro data, and then other sources of information. Classification results directly when the data satisfy the criteria. In other cases, classification of a substance or a mixture is made on the basis of the weight of evidence within a tier. In a total weight of evidence approach all available information bearing on the determination of serious eye damage/eye irritation is considered together, including the results of appropriate validated in vitro tests, relevant animal data, and human data such as epidemiological and clinical studies and well-documented case reports and observations (see Annex I, Part 1, Section 1.1.1.3). substances that have the potential to seriously damage the eyes (see Table 3.3.1). substances that have the potential to induce reversible eye irritation (see Table 3.3.2). 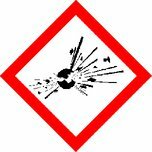 A single hazard category (Category 1) is adopted for substances that have the potential to seriously damage the eyes. This hazard category includes as criteria the observations listed in Table 3.3.1. These observations include animals with grade 4 cornea lesions and other severe reactions (e.g. destruction of cornea) observed at any time during the test, as well as persistent corneal opacity, discoloration of the cornea by a dye substance, adhesion, pannus, and interference with the function of the iris or other effects that impair sight. In this context, persistent lesions are considered those which are not fully reversible within an observation period of normally 21 days. Hazard classification as Category 1 also contains substances fulfilling the criteria of corneal opacity ≥ 3 or iritis > 1,5 observed in at least 2 of 3 tested animals, because severe lesions like these usually do not reverse within a 21-day observation period. The use of human data is discussed in Section 3.3.2.2 and also in Sections 1.1.1.3, 1.1.1.4 and 1.1.1.5.
calculated as the mean scores following grading at 24, 48 and 72 hours after instillation of the test material. Substances that have the potential to induce reversible eye irritation shall be classified in Category 2 (eye irritation). For those substances where there is pronounced variability among animal responses, this information shall be taken into account in determining the classification. The use of human data is addressed in Sections 3.3.2.2, and also in Sections 1.1.1.3, 1.1.1.4 and 1.1.1.5.
calculated as the mean scores following grading at 24, 48 and 72 hours after instillation of the test material, and which fully reverses within an observation period of normally 21 days. 3.3.2.2.1. A tiered approach to the evaluation of initial information shall be considered where applicable, recognizing that not all elements may be relevant. 3.3.2.2.2. Existing human and animal data shall be the first line of evaluation as they give information directly relevant to effects on the eye. Possible skin corrosion has to be evaluated prior to consideration of any testing for serious eye damage/eye irritation in order to avoid testing for local effects on eyes with skin corrosive substances. Skin corrosive substances shall be considered as leading to serious eye damage (Category 1) as well, while skin irritant substances may be considered as leading to eye irritation (Category 2). 3.3.2.2.3. In vitro alternatives that have been validated and accepted shall be used to make classification decisions. 3.3.2.2.4. Likewise, pH extremes like ≤ 2 and ≥ 11,5, may indicate serious eye damage, especially when associated with significant acid/alkaline reserve (buffering capacity). Generally such substances are expected to produce significant effects on the eyes. In the absence of any other information, a substance is considered to cause serious eye damage (Category 1) if it has a pH ≤ 2 or ≥ 11,5. However, if consideration of acid/alkaline reserve suggests the substance may not cause serious eye damage despite the low or high pH value, this needs to be confirmed by other data, preferably by data from an appropriate validated in vitro test. 3.3.2.2.5. In some cases sufficient information may be available from structurally related substances to make classification decisions. 3.3.2.2.6. The tiered approach provides guidance on how to organize existing information and to make a weight-of-evidence decision about hazard assessment and hazard classification. Animal testing with corrosive substances shall be avoided whenever possible. Although information might be gained from the evaluation of single parameters within a tier (see 3.3.2.1.1) consideration shall be given to the totality of existing information and making an overall weight of evidence determination. This is especially true when there is conflict in information available on some parameters. 3.3.3.1.1. The mixture shall be classified using the criteria for substances, and taking into account the tiered approach to evaluate data for this hazard class. 3.3.3.1.2. 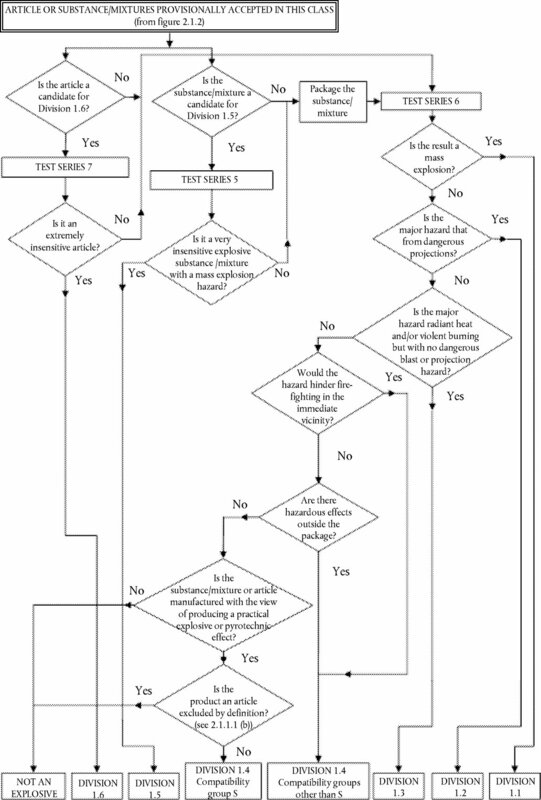 When considering testing of the mixture classifiers are encouraged to use a tiered weight of evidence approach as included in the criteria for classification of substances for skin corrosion and serious eye damage/eye irritation to help ensure an accurate classification, as well as to avoid unnecessary animal testing. In the absence of any other information, a mixture is considered to cause serious eye damage (Category 1) if it has a pH ≤ 2 or ≥ 11,5. However, if consideration of acid/alkali reserve suggests the mixture may not cause serious eye damage despite the low or high pH value, this needs to be confirmed by other data, preferably data from an appropriate validated in vitro test. 3.3.3.2.1. Where the mixture itself has not been tested to determine its skin corrosivity or potential to cause serious eye damage/eye irritation, but there are sufficient data on the individual ingredients and similar tested mixtures to adequately characterise the hazards of the mixture, these data shall be used in accordance with the bridging rules set out in Section 1.1.3. The “relevant ingredients” of a mixture are those which are present in concentrations ≥ 1 % (w/w for solids, liquids, dusts, mists and vapours and v/v for gases), unless there is a presumption (e.g. in the case of skin corrosive ingredients) that an ingredient present at a concentration < 1 % can still be relevant for classifying the mixture for serious eye damage/eye irritation. 3.3.3.3.2. In general, the approach to classification of mixtures as seriously damaging to the eye/eye irritant when data are available on the ingredients, but not on the mixture as a whole, is based on the theory of additivity, such that each skin corrosive or serious eye damaging/eye irritant ingredient contributes to the overall serious eye damage/eye irritation properties of the mixture in proportion to its potency and concentration. A weighting factor of 10 is used for skin corrosive and serious eye damaging ingredients when they are present at a concentration below the generic concentration limit for classification with Category 1, but are at a concentration that will contribute to the classification of the mixture as eye irritant. The mixture is classified as seriously damaging to the eye or eye irritant when the sum of the concentrations of such ingredients exceeds a concentration limit. 3.3.3.3.3. Table 3.3.3 provides the generic concentration limits to be used to determine if the mixture shall be classified as seriously damaging to the eye or as eye irritant. 3.3.3.3.4.1. Particular care must be taken when classifying certain types of mixtures containing substances such as acids and bases, inorganic salts, aldehydes, phenols, and surfactants. The approach explained in Sections 3.3.3.3.1 and 3.3.3.3.2 might not work given that many such substances are seriously damaging to the eye/eye irritant at concentrations < 1 %. 3.3.3.3.4.2. For mixtures containing strong acids or bases the pH shall be used as classification criterion (see Section 3.3.3.1.2) since pH will be a better indicator of serious eye damage (subject to consideration of acid/alkali reserve) than the generic concentration limits in Table 3.3.3. 3.3.3.3.4.3. A mixture containing skin corrosive or serious eye damaging/eye irritating ingredients that cannot be classified based on the additivity approach (Table 3.3.3) due to chemical characteristics that make this approach unworkable, shall be classified as Serious Eye Damage (Category 1) if it contains ≥ 1 % of a skin corrosive or serious eye damaging ingredient and as Eye Irritation (Category 2) when it contains ≥ 3 % of an eye irritant ingredient. Classification of mixtures with ingredients for which the approach in Table 3.3.3 does not apply is summarised in Table 3.3.4. 3.3.3.3.5. On occasion, reliable data may show that the effects of serious eye damage/eye irritation of an ingredient will not be evident when present at a level at or above the generic concentration limits mentioned in Tables 3.3.3 and 3.3.4 in Section 3.3.3.3.6. In these cases the mixture shall be classified according to those data (see also Articles 10 and 11). On other occasions, when it is expected that the skin corrosion/irritation hazards or the effects of serious eye damage/eye irritation of an ingredient will not be evident when present at a level at or above the generic concentration limits mentioned in Tables 3.3.3 and 3.3.4, testing of the mixture shall be considered. In those cases, the tiered weight of evidence approach shall be applied. 3.3.3.3.6. If there are data showing that (an) ingredient(s) may be corrosive to the skin or seriously damaging to the eye/eye irritating at a concentration of < 1 % (corrosive to the skin or seriously damaging to the eye) or < 3 % (eye irritant), the mixture shall be classified accordingly. 3.3.4.1. Label elements shall be used for substances or mixtures meeting the criteria for classification in this hazard class in accordance with Table 3.3.5. In Section 3.5.2.3.5, the second indent is deleted. In point (b), the term ‘acute (short-term) hazard’ is replaced by the term ‘short-term (acute) hazard’. 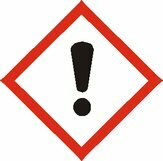 In point (j), the term ‘long-term hazard’ is replaced by the term ‘long-term (chronic) hazard’. 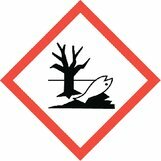 ‘Categories for substances long-term (chronic) hazardous to the aquatic environment’. (or, if absent, the log Kow ≥ 4). > 1 to ≤ 10 mg/l. > 10 to ≤ 100 mg/l. 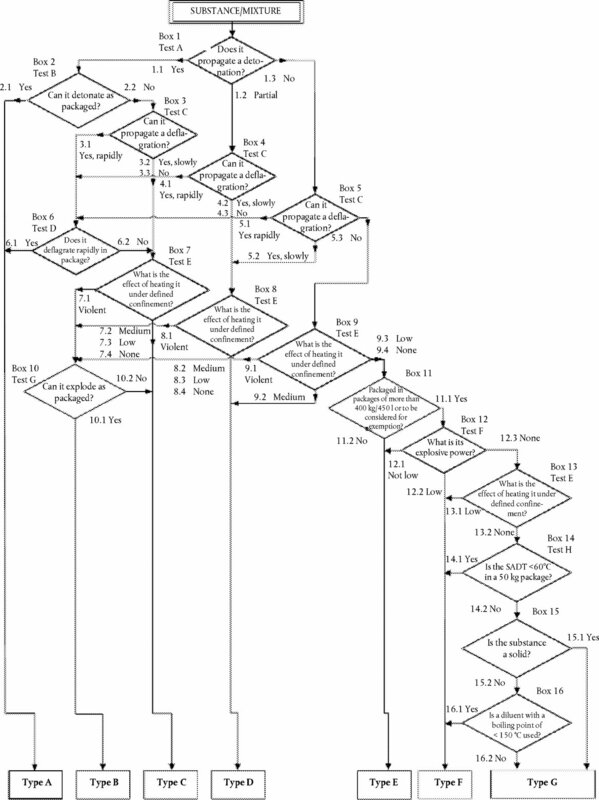 ‘Classification of a mixture for short-term (acute) hazards based on summation of classified components’. ‘Classification of a mixture for long-term (chronic) hazards, based on summation of the concentration of classified components’. (1) Type G has no hazard communication elements assigned but should be considered for properties belonging to other hazard classes. (4) See the conditions for the use of Category 1 in paragraph (a) of Section 3.2.2. (1) Grading criteria are understood as described in Regulation (EC) No 440/2008. (2) Grading criteria are understood as described in Regulation (EC) No 440/2008. (3) Grading criteria are understood as described in Regulation (EC) No 440/2008. (4) If an ingredient is classified as both Skin Corrosion Sub-Category 1A, 1B, 1C or Category 1 and Serious Eye Damage (Category 1), its concentration is considered only once in the calculation. Предизвиква сериозно увреждане на очите. Provoque de graves lésions des yeux. Ina chúis le damáiste tromchúiseach don tsúil.